Nothing is more frustrating than long lift lines on the perfect ski day. With the high costs of lift tickets, you want to get as many runs as possible. 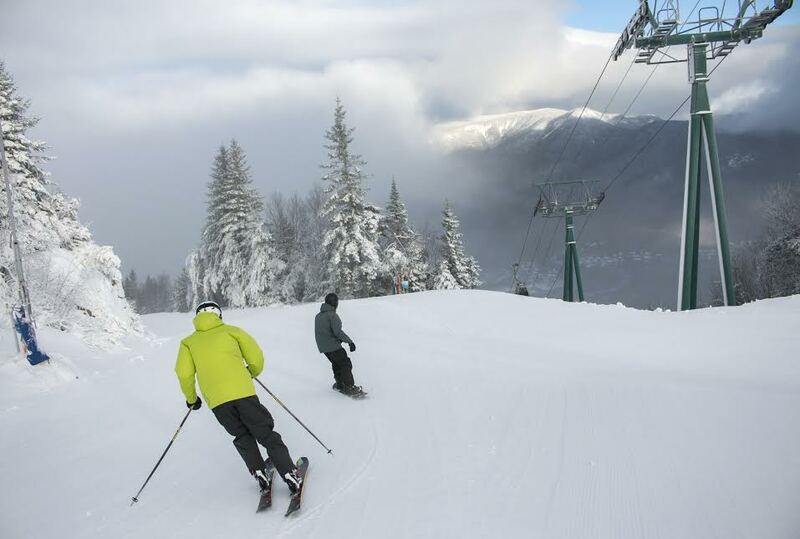 Weekends, holidays, and school vacations are all high traffic days on any ski mountain. If you’re someone who wants to ski from the first chair to the last and make the most of every run, then you should consider cashing in some of your vacation days for ski days. Many ski resorts offer incredible ski and stay packages that will save you tons of money. Plus, you won’t have to wait in any lift lines! Day lift tickets at most ski mountains are priced higher on the weekends and holidays than during the week. For example, a day pass to Loon Mountain costs $96 on weekend and holidays and only $86 midweek and non-holidays. Other ski mountains, like Cannon Mountain, offer exclusive discounts of specific days of the week. On Tuesdays and Thursday, you can get a day pass for two for $77 or one for $52. 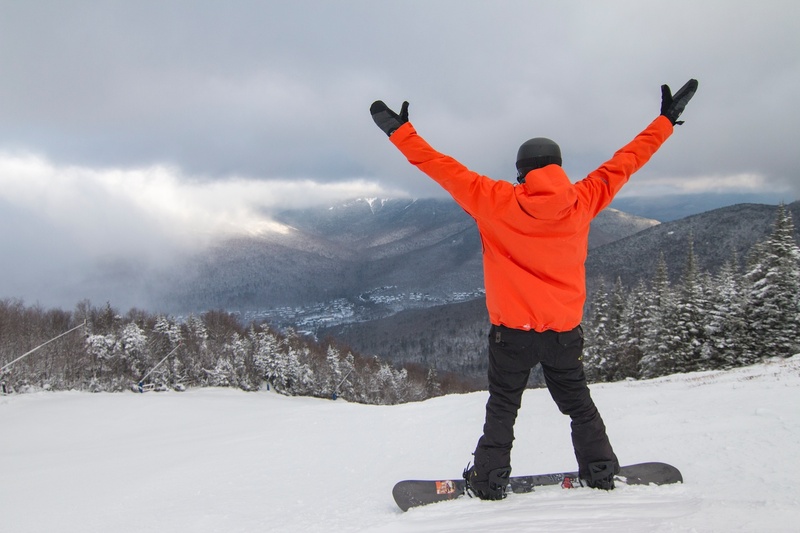 On Wednesdays, New Hampshire residents can ski for just $25! Other ski mountains in the White Mountains, like Bretton Woods and Cranmore Mountain, offer similar midweek savings. Pro Tip: Buy your lift tickets online and save even more money! If you hate waiting in line for the next chair and just want to lay down more tracks, then you’ll want to take a few vacation days and hit the slopes midweek. Even on a bluebird or powder day, the lift lines are a whole lot shorter during the week. You’ll be able to set a new runs record! Pro Tip: Even if there is a short line, you can always get to the top faster if you hop in the singles line. Ski mountains might not have the same amount of traffic they have over the weekends or school vacation weeks, but they still groom the same. With fewer skiers and snowboarders laying down lines, the trails will last longer for your enjoyment. You’ll be able to carve those fresh corduroy trails longer or find the hidden, untouched powder stashes. Ski and ride happy! Pro Tip: Ask the lift operators, ski instructors, or ski patrollers what the conditions are like and where to find the best snow. When Sunday rolls around, hundreds of hotel rooms go empty for the week until Friday when the weekend crowds drive up to the White Mountains. To fill those empty rooms, many ski resorts and nearby hotels will offer incredible midweek ski and stay packages. 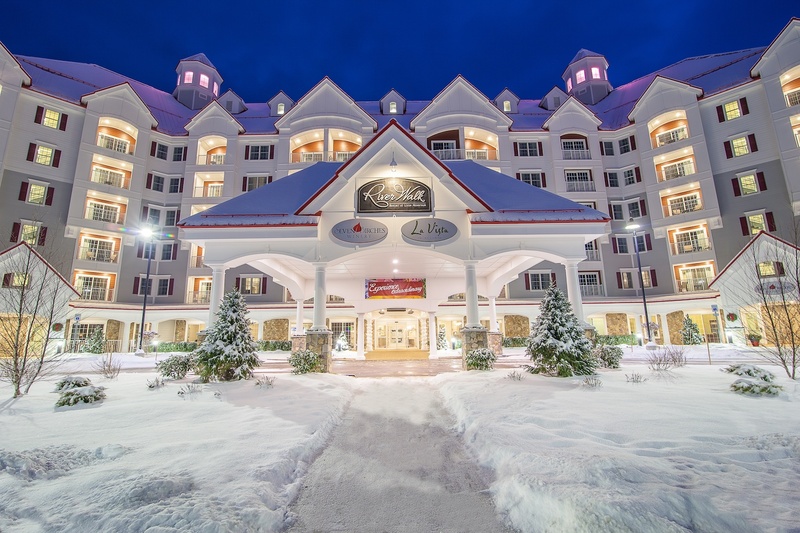 The RiverWalk Resort offers midweek ski & stay packages starting at $179 per person a night that includes two nights of lodging, two days of skiing at Loon, and unlimited ice skating. Other resorts nearby offer similar deals. Pro Tip: Look for special ski & stay packages advertised on social media. Sometimes you’ll score an even better last-minute deal! Do you ever feel like you’re rushed on the weekends? After work, you’re rushing to pack the kids and all your gear into the car to head to the mountain. On Saturday, you’re rushing to feed the kids breakfast and get them to their ski lessons on time. On Sunday, you’re rushing to dress everyone for skiing and packing the car to head back home after the last chair. During the week, you don’t need to rush your ski trip. You can take your time getting to the mountain because the trails are still in great shape at 10 am, and there are no lift lines. You don’t need to rush to the restaurant after skiing because there is no long wait. You can relax and see where the snow takes you. Pro Tip: You can often sleep in on the weekdays because most lifts open an hour later than Saturday and Sunday. Midweek skiing is one of the industry’s best-kept secrets. If you have the vacation days to spare, it’s a great way to save some money and enjoy some of the best ski and snowboard trails with no crowds.